The splendour of southern India is defined by its intricate temple tradition featuring magnificent architecture. Here, towering Gopura gateways dominate the timeless cities and the vast temple complexes are still the focus of everyday life. Such is the reverence of these temples of South India. 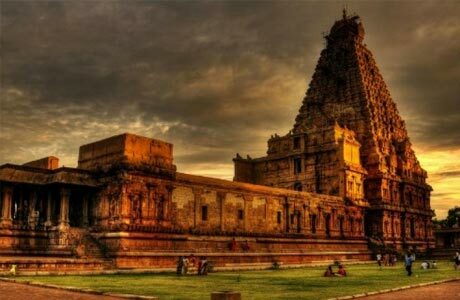 Southern India splendour tour is an attempt to discover the astounding heritage of Hindu kings resting in temple town of Kanchipuram; stone carved Pallava temples in Mahabalipuram; town of colossal Brihadishwara temple-Thanjavur; historical temple kingdom of Trichy and the oldest temple city of time and traditions in Madurai. To add on to the splendour of south, a tour through the erstwhile French colony, Puducherry or Pondicherry and capital of Tamil Nadu, Chennai is also incorporated during this Southern India splendour tour. Day 01 - Arrive Chennai. Upon arrival at Chennai International / Domestic, meet India Budget Tours representative who will assist the transfers to the hotel for overnight in Chennai. After breakfast, check out Chennai and move towards Kanchipuram (76 km & 02 hrs). 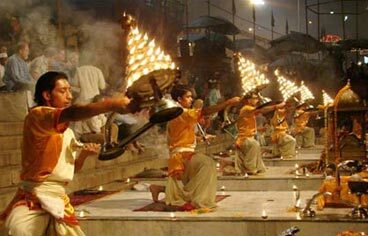 This is one of the seven sacred Hindu cities according to scriptures. There are temples here dedicated to Lord Shiva and Lord Vishnu. Locally, this town is famous for Silk Sarees, Shrines and Saints. 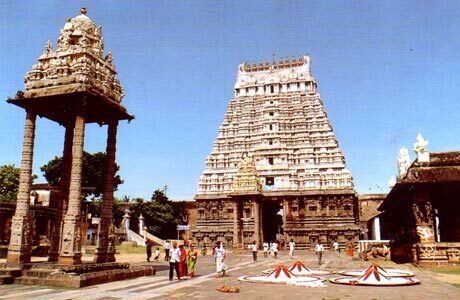 Visit Ekambareshwarar Temple, the largest in Kanchipuram dedicated to Lord Shiva. Identified by its colossal 60m whitewashed gopuram, this is one of the tallest gopurams in Tamil Nadu. Visit other revered temples during Kanchipuram tour. 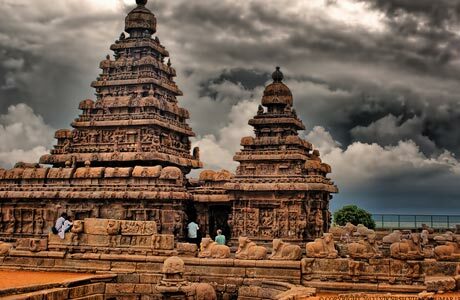 In afternoon, begin an excursion towards Mahabalipuram (65 km & 02 hrs). In evening, begin a sightseeing tour of Mahabalipuram, a small seaside town that rose to prominence during the Pallava dynasty rule. This town, between fifth and ninth centuries, served as a major port where stone carvers chiselled granite boulders in the form of open-air bas-reliefs, structured temples, man-made caves and rathas. The most impeccable structure in the series here is Shore Temple. Located on a promontory overlooking the Bay of Bengal, this temple illustrates the visionary approach of the carvers who gave strong granite foundations to the temple. Overnight in Mahabalipuram. Morning check out Mahabalipuram for a drive to Pondicherry (190 km / 4 hrs). A former French colony, this seafront territory still provides glimpses of French culture inherent in the aura of Pondicherry. 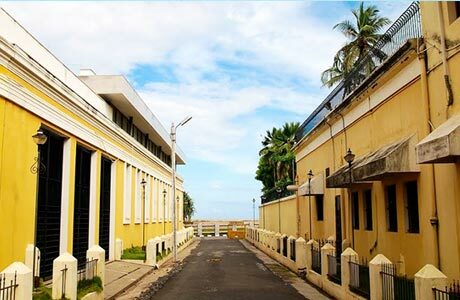 In afternoon, begin the tour of Pondicherry via a visit to Sri Aurobindo Ashram, Promenade Beach, various Churches and Temples and Botanical Garden, etc. Overnight in Pondicherry. Day 04 - Pondicherry - Thanjavur. Check out Pondicherry for a drive towards Thanjavur (170 km / 4 hrs). Check in to hotel. In afternoon, begin the tour of Thanjavur, famous for a world heritage Great Living Chola Temple of Sri Brihadeswara Temple. Made completely of 130,000 tons of granite, this temple is a finest tribute of the Cholas to the Dravidian art. Later visit the Thanjavur Palace, Art Gallery featuring Tanjore Paintingss, Library, Hall of Music, Royal Museum, Schwartz Church and Mariamman Temple, Overnight in Tanjore. Day 05 - Thanjavur - Trichy - Madurai. In the morning, drive to Madurai (195 km / 4 hrs). Visit Trichy enroute Madurai. 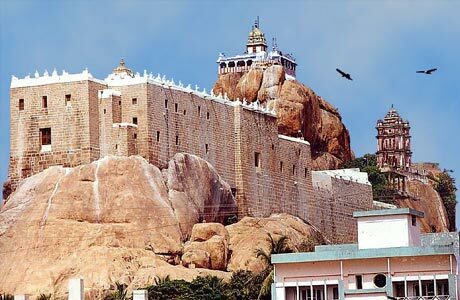 Visit the Rock Fort Temple and Viralimalai Murugan Temple. Nearby attractions of this temple is Viralimalai Sanctuary, where the National Bird of India, Peacocks are found in abundance. After the excursion, move towards Madurai. Upon arrival, check in to hotel for overnight stay. Begin a full day sightseeing tour of Madurai, the city synonymous with the splendour of Meenakshi Temple. Begin the tour with the obvious destination of Meenakshi Temple, the center of attraction in Madurai. This wide temple courtyard and complex is dedicated to Goddess Meenakshi and Lord Sundareshwarar. After the visit to the temple, continue exploring more of Madurai through a visit to Indo Saracenic Tirumalai Nayak Palace & the Vandiyur Mariamman Tank. In the evening, transfer to station and board connecting train for Chennai at 21:50 hrs. Overnight in train. Arrive Chennai at 06:50 hrs. Check in the hotel for morning refreshment. 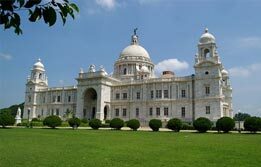 Later, begin a city tour through a visit to legendary Fort St. George, St. Thomas Mount, Kapaleeswar Temple and Art Gallery. 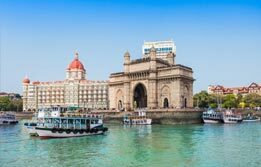 In the evening, transfer to the airport and board connecting flight for onward destination with great memories of Southern India Splendour tour. 01 Double Room at each place as per itinerary for total 6 nights (5 nights on train and 1 Night on train). Hotel check in / out 12:00 hrs. English Speaking Guide at each place during sightseeing tour. Any monument entry fee (to be paid directly at the monument). Please find below list.